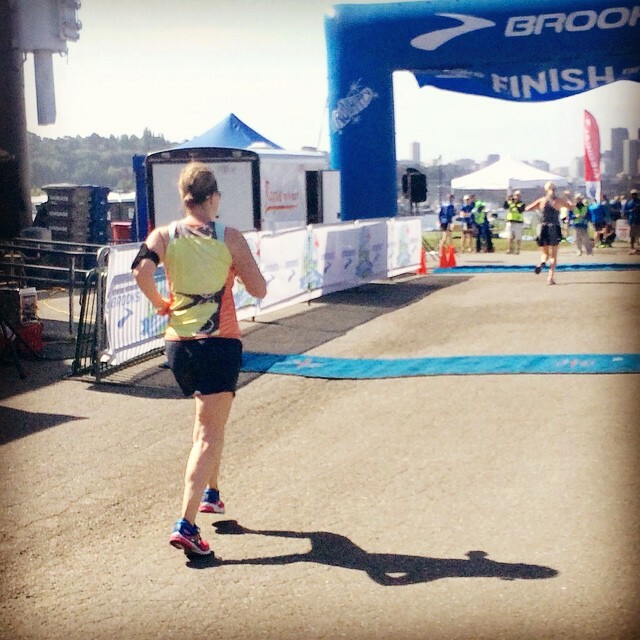 Hands down it was the Lake Sammamish Half. Admittedly, it was my only PR of the year. However, I would have said the same even if I didn't finally improve my time in the half after three darn years! The race is such a great course, the weather was beautiful: chilly turning to sun by the end, and a lovely post race brunch with friends - which is always the best way to celebrate a race. I'd have to say the 7 miles we put in while at Birdcamp in Leavenworth. I was not doing a lot of longer runs at the time and was wary of anything more than 5 miles. It just goes to show that running with good friends can make the miles FLY, even after 7 miles and over 1500 feet in elevation gain! Best new piece of running gear? I got a pair of Stance socks at Birdcamp this year and I LOOOOVE them! The mid-calf length, the support and feel is just great. Plus they have so many super stylin' options, including Star Wars themed socks! 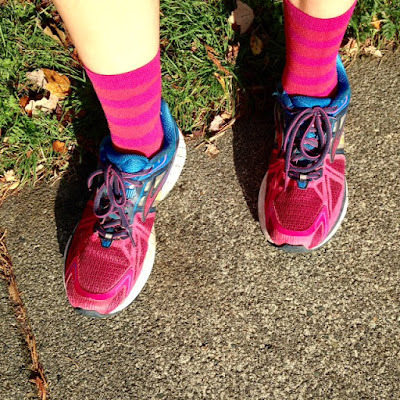 Best running advice you've received this year? I did a gait analysis in January and I'm sure that it's contributed to being injury free all year! I try my best to remember to 'run tall' - great advice. Such a hard question, as there are so many and for so many different reasons. I learned to find inspiration from within a bit more this year, and I'm inspired by all the other mother runners out there: from those with Olympic level aspirations (HUGE shout out to Sarah who just ran an Olympic Trials Qualifier in the marathon as a full time working mom with a ONE YEAR OLD), to those that are taking the leap to trying a 5K. 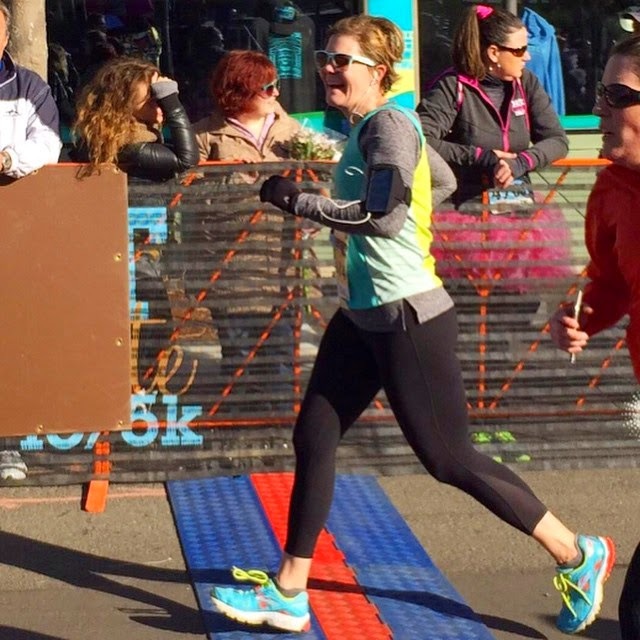 Favorite picture from a run or race this year? I love the composition of this shot that Lauren captured, with the shadow and a nice stride I had goin' at the end of the Brooks Trailhead 15K. Despite the fact that I felt like poo by the end of that race! Race experience you would repeat in a heartbeat? 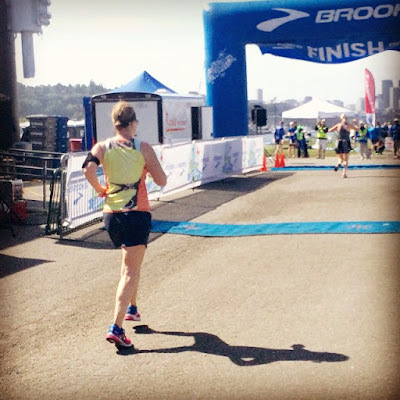 The Lake Sammamish Half seems like the obvious answer here, and it's SUCH a great event. But I feel like I want to take another break from the half and go for 5Ks. So, I'll say Hot Chocolate because of course I run that every year as a Chambassador (and because it's awesome), and I miiiight just get up earlier this year and try to race the 5K instead of 'funning' the 15K. Injury free and CONSISTENT (still streaking since Memorial Day 2014!). Which is really the main goal, right? To just be able to run! Does "streaking" mean you've run every day since March 2014? I love to cross-train, but I think a running streak would be so much fun and offer so much variety, as I pretty much do the same routes twice a week mixed in with my cross-training classes. I could do a lot more with my runs if I chose to...a streak sounds nice! love this! 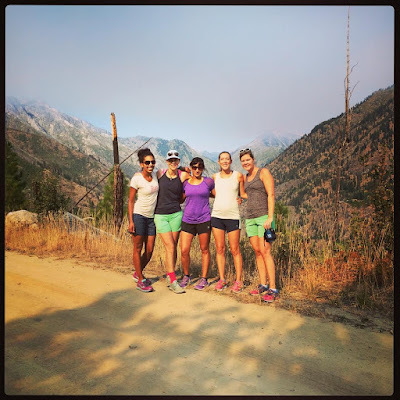 thanks for linking up and oh man that awesome trail run at camp was amazing. HARD but amazing! you take really good race pictures!